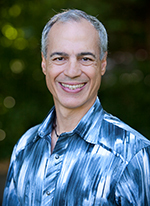 In today’s times, the term “evidence based medicine” is often used and in the past decade has been readily adopted largely by the naturopathic field when speaking in the context of plant-based medicines (the primary “toolbox” of wholistic practitioners) in an effort to gain more acceptance through applying equally high standards of “safety and validity” to those of conventional medicine. However, this is often far from what can be called “truth” since the motive behind clinical research is not to prove “truth” but to have a drug or device approved by the FDA. The problem with using “evidence based medicine” exclusively, rather than “evidence informed medicine”, which I prefer, is that the term originated from the randomized controlled trial research paradigm used to study drugs. Such clinical studies are set up specifically in a reductionist method, removing all variables, which is essential for a drug. Unfortunately, this method is not applicable to a whole-systems approach where we are constantly personalizing and adapting treatment protocols to the individual, altering that protocol as the circumstances change, as well as using plants, which are pleotropic in their effects. Therefore, while there is a tremendous scientific basis for the therapeutic benefits of plants and nutrients in healing, they tend to not be studied in the most widely-accepted, gold standard, rigorous method designed for drugs, yet that does not make them any less valid or “evidence based” in my opinion. In other words, “evidence based medicine” doesn’t always mean it is the right medicine or the best medicine and we need to look beyond and apply a multitude of lenses to discover this (ie; truth). Over the past two decades I have spent an average of two hours a day compiling research data on botanical and nutritional medicines. I combine this valuable, credible data with my vast knowledge of historical uses and indications, coupled with three decades of clinical experience, to develop safe, effective, and therapeutic protocols that produce results. Second, much of what is approved as “truth” in the medical arena—including pharmaceutical drugs and various treatments—actually has little validity and can be more detrimental than doing nothing. The attempt to gain approval of a drug, device, or treatment method is not a pursuit of truth, but unfortunately, is often driven by self -interest, and lacks the necessary ingredient of wisdom. 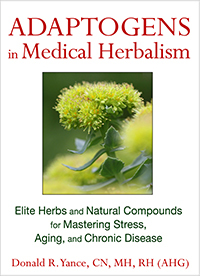 When it comes to postulating truths about herbal and dietary medicine, the medical establishment is not only frequently incorrect and dogmatic, but often maintains a position that is opposite to the truth, especially when it comes to herbs. Examples of this include “Don’t take herbs prior to surgery, because they are blood thinners and will inhibit clotting,” or “Don’t take echinacea if you have a blood cancer, such as leukemia, because it could stimulate the growth of leukemia cells.” Misinformation is rampant, and the internet has exacerbated the problem. For this reason, I recommend against searching for information on the internet about herbs and cancer or diet and cancer. There is an abundance of bad information and a lack of wisdom and integrity to guide you towards the truth. Wisdom involves an understanding of the nature, source, and limits of knowledge, together with the degree to which we are able to “teotl” (to understand with the Divine Spirit, taken from the Aztec religion). Truth involves a willingness to accept that the natural and the supernatural coexist. But this is not the way of modern conventional medicine. As a result, the medical profession is painfully shortsighted and makes egregious errors, including making proclamations about health that prove to be incorrect. When I was five years old, my mother was told, if they removed my tonsils, it would improve my health and reduce the incidence of sore throats and infections. It wasn’t too many years later that the standard-of-care regarding prophylactic removal of the tonsils was stopped, and the tonsils were recognized as an important part of the immune system. But it was too late for me, and for millions of other children who grew up in the 50’s and 60’s. Other examples of non-truths we have been led to believe are, “Eggs and butter contain cholesterol, so to avoid heart disease don’t eat them, but instead eat vegetable margarine.” “Foods that contain natural vitamin K such as fruits and vegetables should be avoided when taking Coumadin (warfarin).” “Nonfat milk products, such as yogurt, milk and cheese, are healthier for you than whole dairy products.” “Avoid all soy foods including traditional soy foods if you have or have had breast cancer.” The list goes on and on. I am continually appalled by how much of modern medicine is not based in truth, and worse, is accepted without any evidence. For example, not so long ago, if you had a small hormonal positive breast cancer, the standard-of-care was a mastectomy with lymph node dissection, with a full course of high dose chemotherapy that included three agents, followed by tamoxifen therapy, regardless of your age. No one questioned this practice, or asked for evidence demonstrating that the protocol significantly enhanced life or improved quality-of-life. The sad truth is that the accepted protocol did not benefit the vast majority of women. A small percentage of women were helped, but many others were irreparably damaged by the treatment, and would have been better off with no treatment except for hormone inhibition. One of my dissatisfactions with conventional medicine and traditional alternative medicine is the closed-mindedness of both. In the pursuit of truth, we must seek open-mindedness. Conventional medicine encompasses an inherently restricted set of categories and paradigms for understanding patients and diseases. But given that no single method is suitable for all patients, problems, and situations, this approach is far from optimal. I propose logical positivism as an alternative to the current dogmatic, narrow view of modern conventional medicine. Logical positivism is spiritual-rationality in the most pristine form. It is considered culturally universal in traditional healing systems, and incorporates traditional wisdom, scientific knowledge, logic, intuition, and prayer, making it applicable to all modalities and situations. Logical positivism is something I fully embrace and have incorporated into the foundation of my approach. Mederi Care, more formally known as the Eclectic Triphasic Medical System (ETMS), is not a combination of “bits and pieces” from different systems trying to find synergy or integration, but rather a unified approach driven by extensive research and clinical application. The word eclectic implies a philosophical integration of several distinct styles or approaches to form the most favorable perspective. A central characteristic of the ETMS is the commitment to examining whatever techniques work in therapy, regardless of the different theories that spawned them. Eclecticism, the root word of ETMS, is the opposite of closed-mindedness, because it pulls together a number of theories and systems, old and new, into a harmonious model of health and healing. The ETMS offers a much more comprehensive approach than any single theory alone. The ETMS is unique in that it applies medical scientific rigor, creativity, intuition, and prayer to the practice of medicine and individual patient care. In developing the paradigm of the ETMS, I have been greatly influenced by Albert Einstein as well as the great jazz saxophonist, John Coltrane (who was also fascinated by Einstein). Coltrane and Einstein both honed their gifts of intuition; the first, to create unequalled jazz; the second, to transform our understanding of the universe by transcending mathematical limitations with intuition. Einstein improvised using what he called gedankenexperiments (German for thought experiments), which provided him with a mental picture of the outcome of experiments no one could perform. 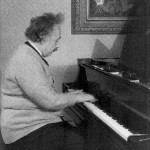 On the one hand, Einstein used mathematical rigor; on the other, creativity and intuition. Similarly, Coltrane merged his brilliant musicianship with creativity and intuition to take jazz in an entirely new direction. A cornerstone of the ETMS is the focus of gentle health-promoting herbal and dietary medicine that assists the innate healing capacity of the body and enhances all auto-regulatory systems. The ETMS proposes that a healthy system is one that self-regulates in the face of network perturbations. This type of humble medicine is as important as the highly selective targeted molecular therapies that are widely promoted as the pinnacle of modern medicine. In fact, the ETMS approach integrates well with targeted molecular therapies. Unfortunately, many conventional medical practitioners fail to recognize the value of supporting the body’s intrinsic healing ability. For example, confronting cancer requires combining multiple influences and interrelationship dynamics into a comprehensive strategy. Instead of focusing on a single root cause, the ETMS addresses the spectrum of root causes to create a unified, multi-focused protocol that combines ‘gentle-macro’ medicine with appropriate ‘strong-micro’ medicine, all tailored to the individual. Success is measured by outcome, quality of life, and health care costs, which are the most important parameters. One of the cornerstones of the ETMS is botanical medicine. In contrast, modern conventional medicine often overlooks the plant world. We take plants for granted, and yet, they nourish us, purify our air, and offer remedies for our ills. 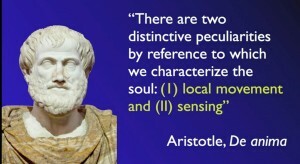 According to the criteria of Aristotle, plants actually might have a soul. Plants eat, drink, sleep, communicate, sense, heal, respond, move (albeit slowly), adapt, protect, and not only survive, but thrive even in the harshest of environments. Plants have a Life Force, just as we do. Traditional herbal medicine and the ETMS are directed towards gentle enhancement of the Life Force, and plants are our companions in this journey. The foundation of the ETMS is to support and enhance the Life Force. Through various toolboxes, the ETMS not only addresses the molecular complexity of a particular disease, leading to the identification of disease characteristics and pathways, but also the molecular relationships among apparently distinct (patho) phenotypes, the microenvironment, and of utmost importance, the host. John Wooden is perhaps the greatest basketball coach ever. He was also a great wise teacher and guru to many of us. He exuded intelligence and class, and he is an inspiration for many of us who try hard to instill the concept of teamwork, honesty and fairness in our work and in our life. In seeking Truth, we must have Purity of Heart, which enables Clear Thinking (Wisdom), Capacity to Reason (Intelligence), the Insight of Truth (Understanding), and the Harvest of Good. The greater our purity of heart, the greater is our ability to find truth. To understand means to find harmony between the idea (arising from above, in communion with the Divine), and the reflection below, the manifestation of the idea. In other words “as above, so below.” There must be a connecting link between the object and the subject, the knowing (what can be explained and understood) and the unknowing (what cannot be entirely explained or understood). We must be not only willing to be open to this concept, but see it as essential to understanding truth and the ultimate pursuit of healing. I so enjoy reading your insights and thoughts. Thank you for continuing to write, pursue truth and share. It helps to feel connected. Right on, Donnie! Why would anyone use pharmaceutical drugs first before trying a natural alternative? Drugs are synthetic, foreign. They take over the body, push particular metabolic pathways and suppress others, put the body out of balance, cause harmful side effects. Herbs, on the other hand, are from Nature, work in harmony with the body, support innate healing, restore balance. Herbs, as well as other plants, share with humans common molecular structures and biochemical processes. The vibrational energies of herbs and other plants are in tune with our own vibrational energies.